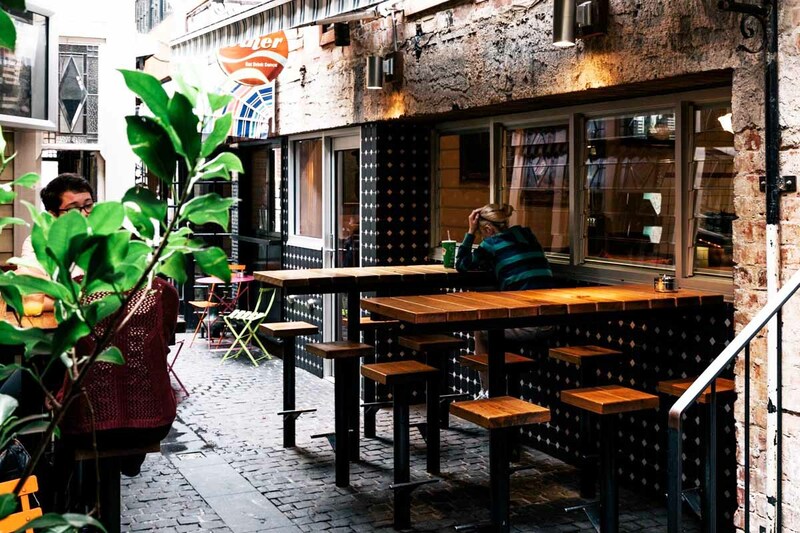 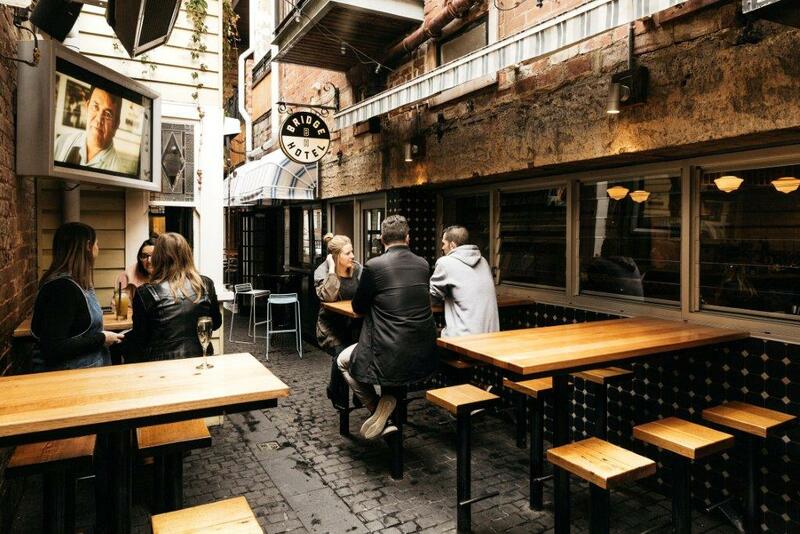 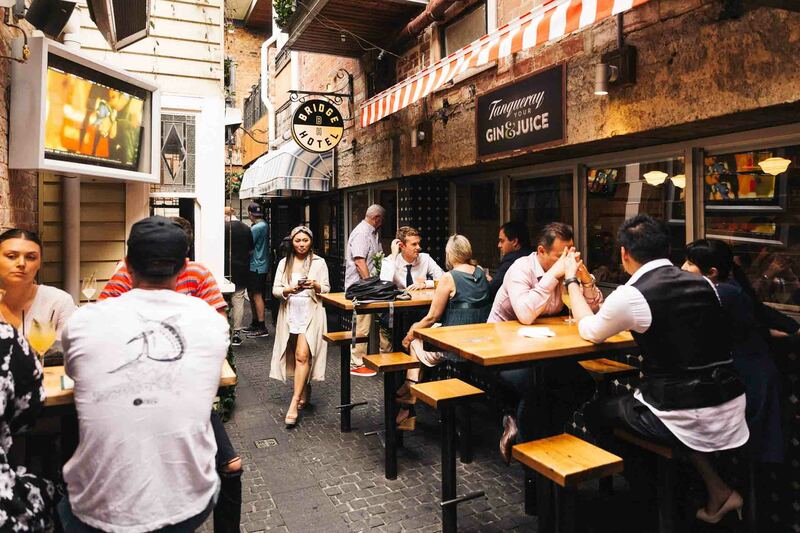 It doesn’t get more uniquely Melbourne than this - a corner pub that’s split down the middle by a cobblestone laneway. 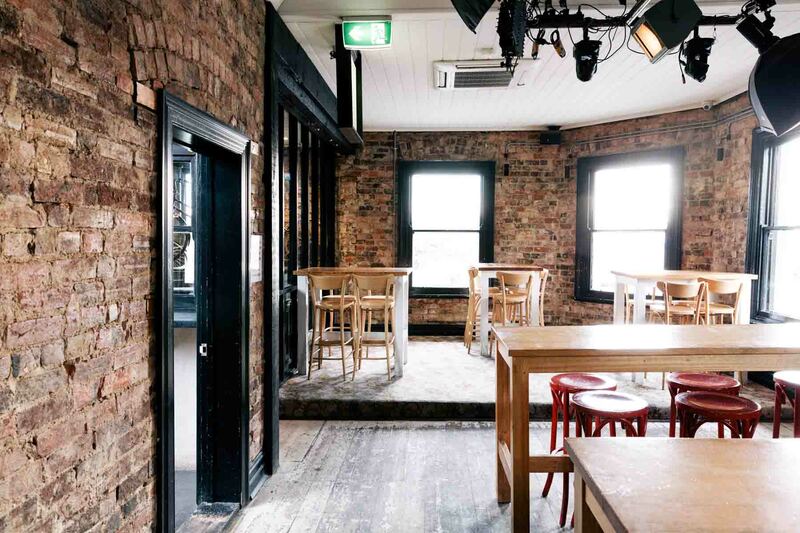 Merging dynamic design and inspired architecture with the warmth and comfort of a traditional Victorian pub to deliver a perfectly unique combination of an old school pub with new school twists. 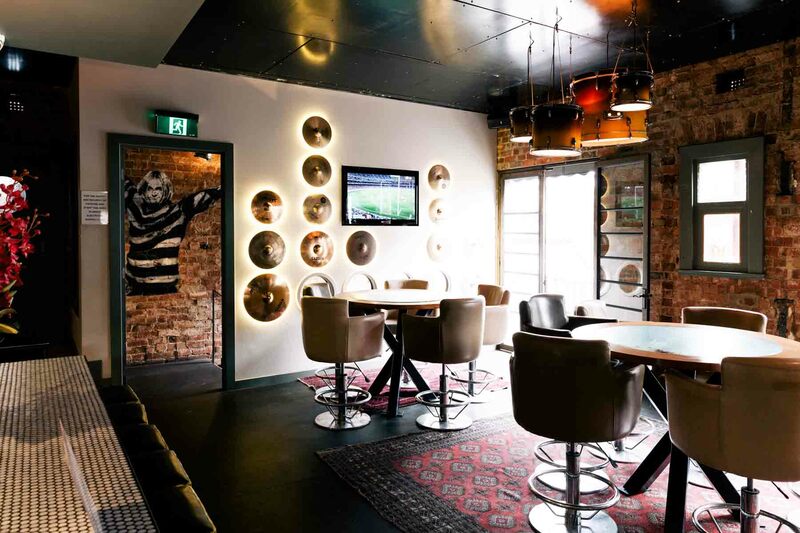 The Bridge Hotel embraces quirky eccentricities to create unique and disparate spaces, all put together by the signature laneway, splattered with urban street art. 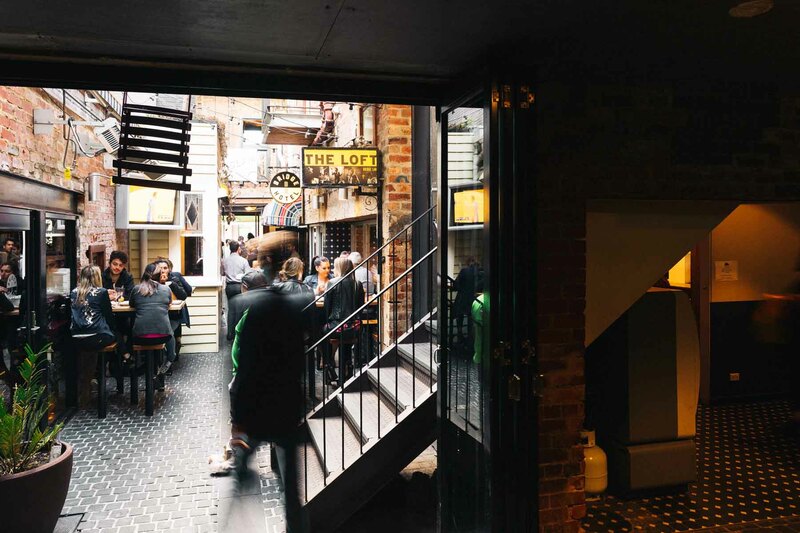 You’ll find a total of four bars dispersed across two levels, including the Public Bar, The Diner, The Studio and The Loft. 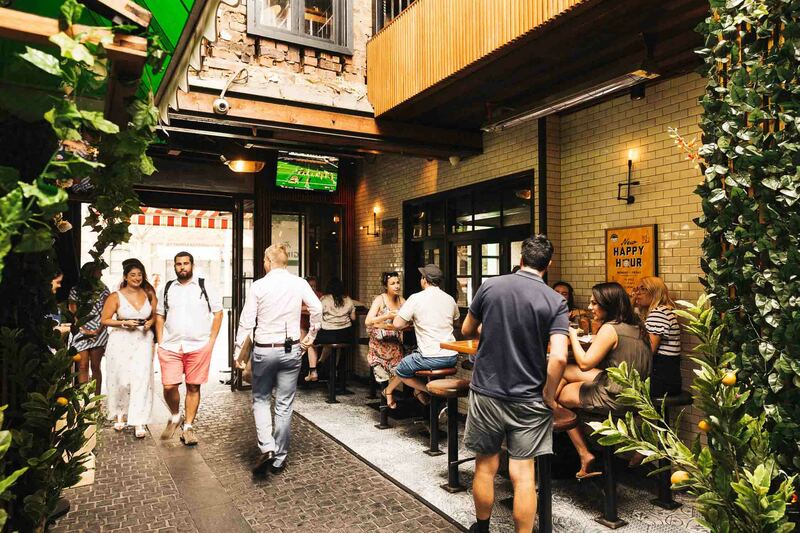 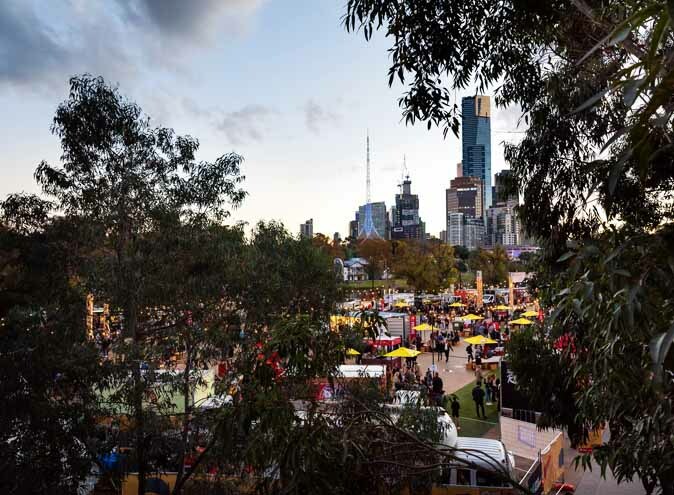 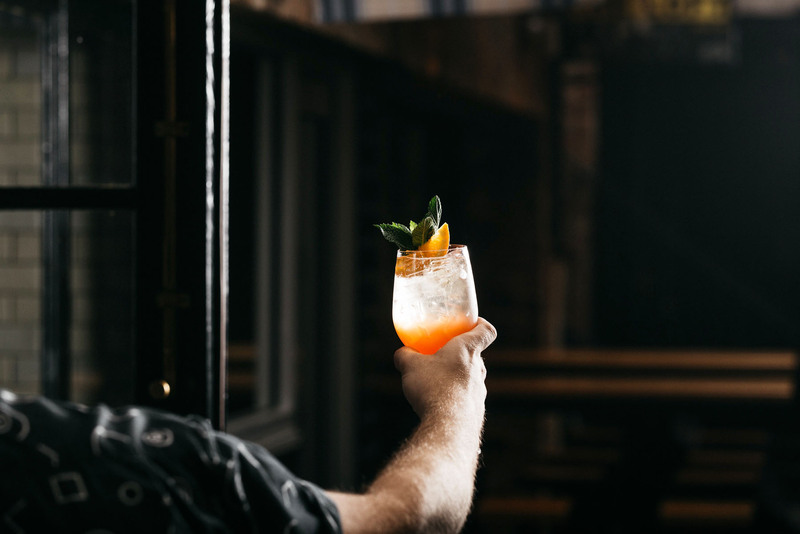 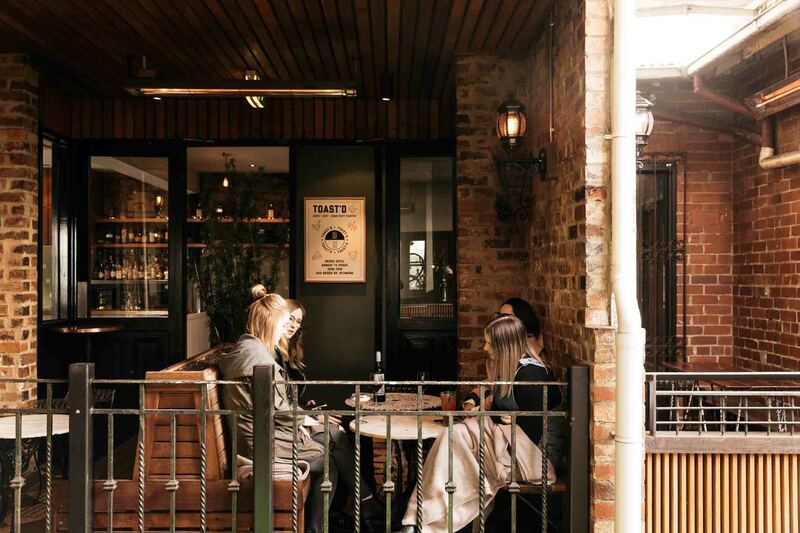 Mid-week after work drinks are their specialty, with the best happy hour specials this side of the Yarra with $4 pots, $7 pints and $5 wines from 5-7pm. 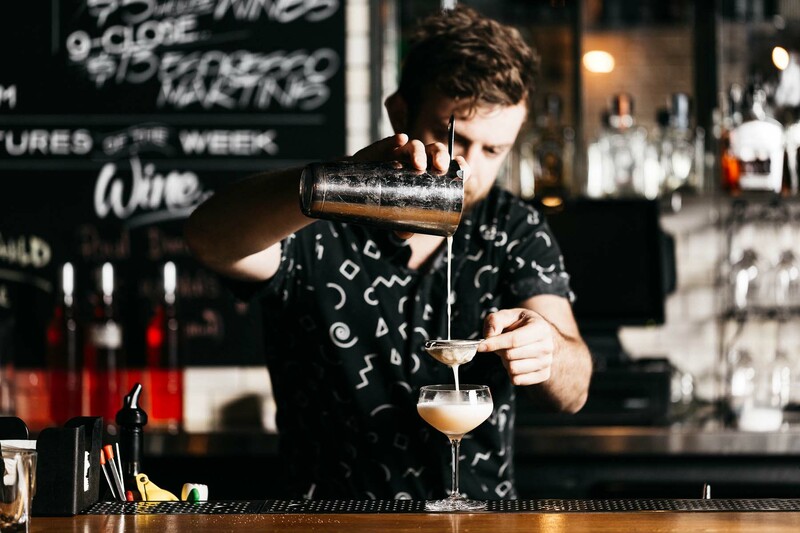 If you need any more reasons to hit up happy hour, there’s also $13 cocktails and classic RNB vibes every Friday after 9pm. 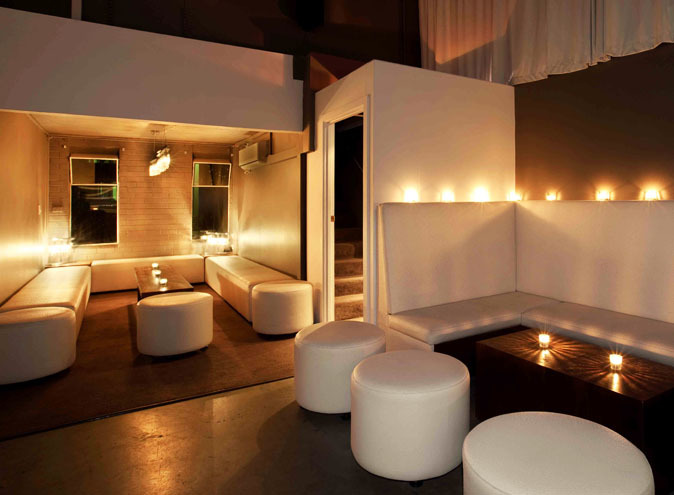 Saturday nights offer up an ever-changing list of drinks specials, promotions and DJ’s on all levels where the entire venue turns into a casual night club. 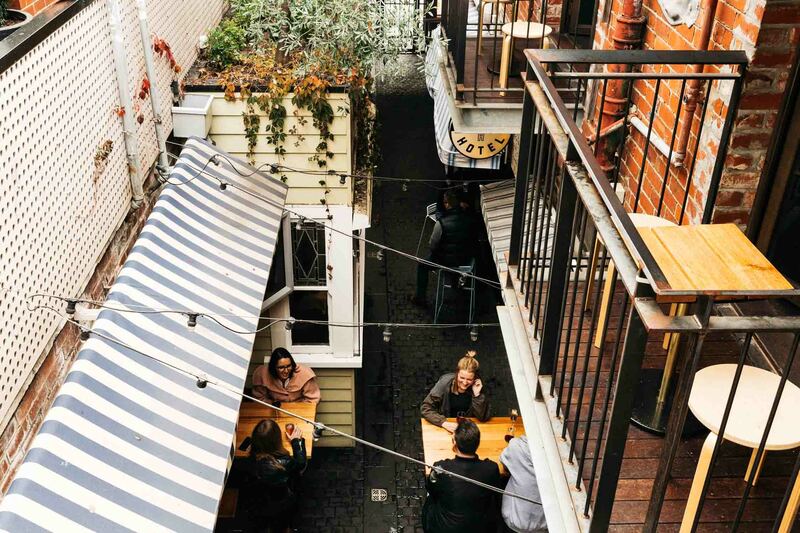 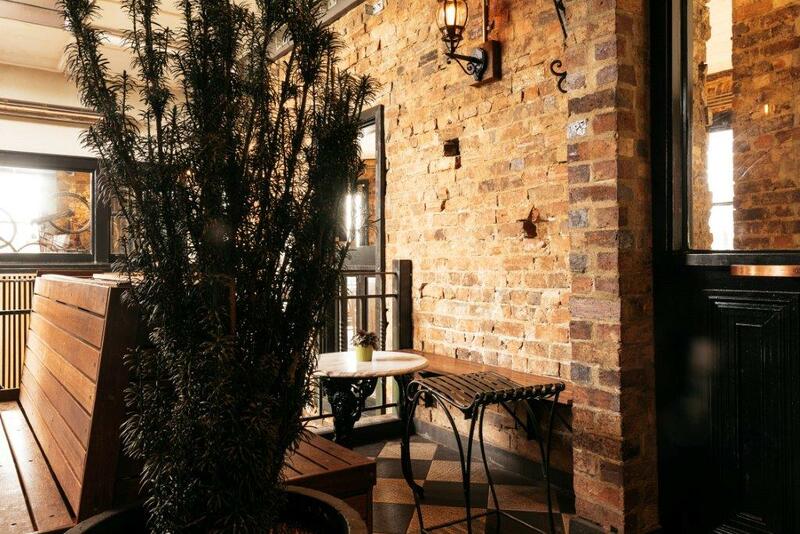 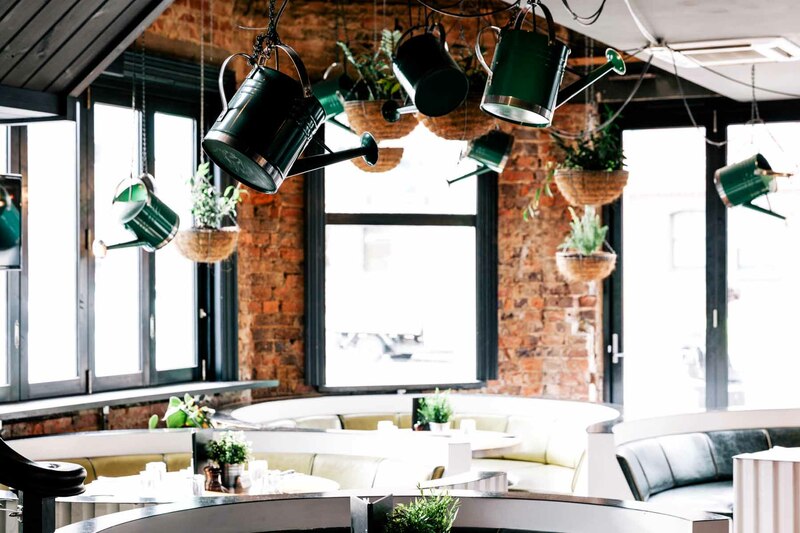 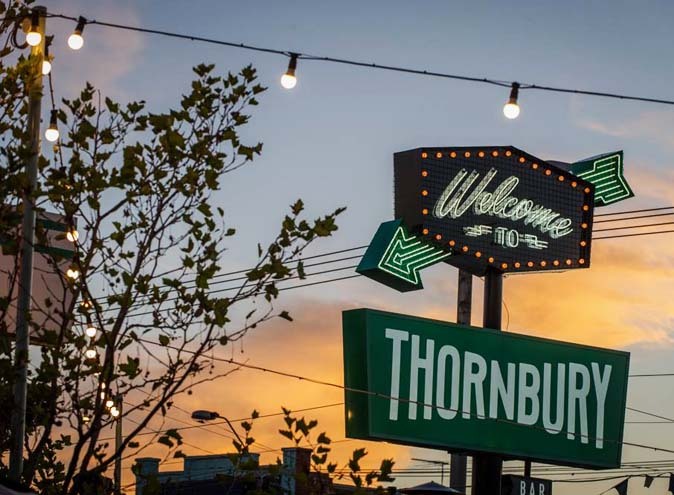 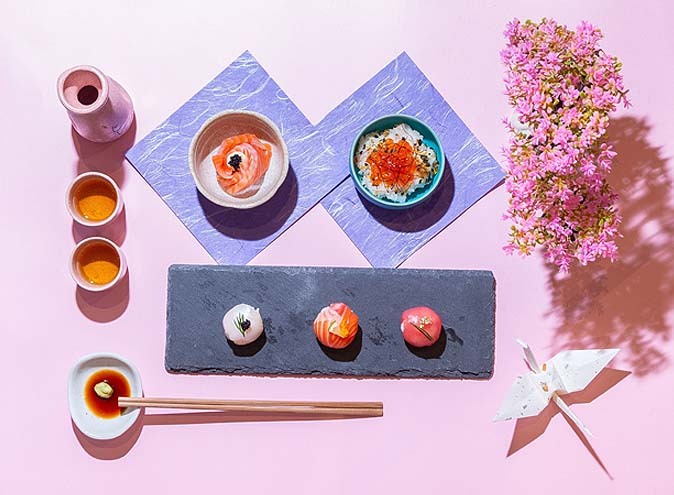 As their laneway décor changes with the seasons, so does their insanely unique vibe. 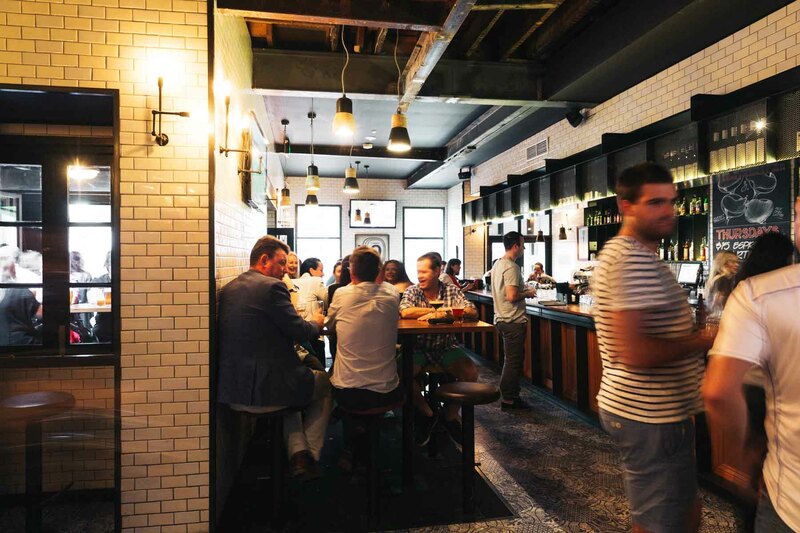 $4 pots, $7 pints, $5 wines and $7 basic spirits from 5pm – 7pm & $13 Espresso Martinis on Fridays.